Well hello everyone, just as I promised I would like to fill you in on what the first couple days of Jocelyn’s Spring Cleanse are like. I knew for the most part what I was getting myself into, I guess I just didn’t realize how much of what I ate included things that you are NOT supposed to eat on this 28 day cleanse. For those of you who are not aware, you are required to be caffeine free (aside for the almighty green tea), alcohol free, dairy free, gluten free, processed sugar free, no red meat…I feel like I should be saying etc. but I believe that is it. Now as Jocelyn so delicately put it “enough of all the things you CAN’T have and more for what you CAN have”. The list of what you can seems much longer than than ones you can not: EVERY kind of delicious fruits and vegetables, brown rice and brown rice based items, corn (tortillas, polenta, blue corn chips, etc. 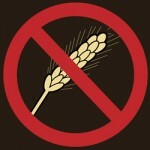 ), any other gluten free grain, poultry, fish, lamb, eggs, beans, nuts, I could go on and on. I realized it’s really not that difficult to find substitutes for all the stuff you might be missing all over Santa Cruz! A challenge that I faced on my first day of the cleanse was eying those delicious Greens + bars that I know we all love so much, as my stomach is growling sitting at the reception desk. I was reluctant to ask the dreaded question, can I eat these? Of course Jocelyn’s answer was that they had gluten in them. After my mini temper tantrum I grabbed a Chocolate Almond Paleobar (Coconut Almond also OK) and to my surprise was totally satisfied. They tasted great! To all those Greens + fanatics who are looking for a vegan or gluten free option I totally recommend it. Don’t be cautious. I have noticed that I am a little bit tired, which also could be explained by lack of sleep, but not doubt exacerbated by detoxing. I am also still adjusting to my smaller portion size, which is making me a bit hungry in the afternoons. Thanks to Jocelyn, however, she is giving us all tips for eating well and keeping to our regular schedule and general habits. For example Saturday morning pancake breakfasts. I believe that the most precious quality of the cleanse is that we are working as a group. Being a part of everyday NOURISH life as a member of the staff I see our clients who are also participating walking in and out occasionally. I always get encouragement and recipe suggestions as well as good food finds around town. It is great to know that we are all in this together. Sharing our experiences and challenges and triumphs and being able to maybe add another healthy snack into your regiment is what this is all about. Making new friends and creating a healthy community for the long run. I am very much enjoying this so far and aside from the drowsiness and mild hunger while I find my adjustment, it’s been great. I have been a little tempted by my friends eating habits, but I stuck to it and I am down one pound (according to my scale). The first couple days are almost over! Stick with me, I still have 25 more days and many more events to brave through.